Shouldn't be too hard, should it? Shall we try to improve on CD Projekt RED's splendid, genre-defining open world RPG? Geralt's angry judgmental glare says 'how dare you' but I say 'how dare we not?' 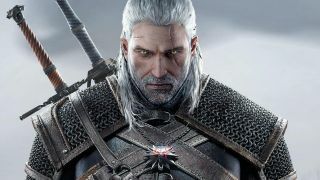 Geralt's an old man now and even CD Projekt has moved on to a futuristic new game called Cyberpunk 2077. We have already designed the perfect FPS game, the perfect battle royale game, and the perfect RTS game. It's time for the noble RPG to get its due. As always we do this using a quick and easy survey. Questions cover a bunch of RPG basics: would we prefer a squad RPG or something driven by a single hero? How should leveling work, and what sort of sidequests do we want? Some of the questions have an 'Other' section where you can make personalised suggestions. For the love of Geralt please keep them clean. At the end of the process Google magic chews up the data and spits out pie charts that may prove informative and/or amusing. Once we have a load of responses we will compile the results into an article on PCGamer.com and the industry will weep joy-tears to see what we have made.